This is one my favourite go-to meals. It’s quick and easy to make, especially if you have a well-stocked pantry like mine and most of the ingredients are right at your fingertips! This salad is a protein-lovers’ dream. 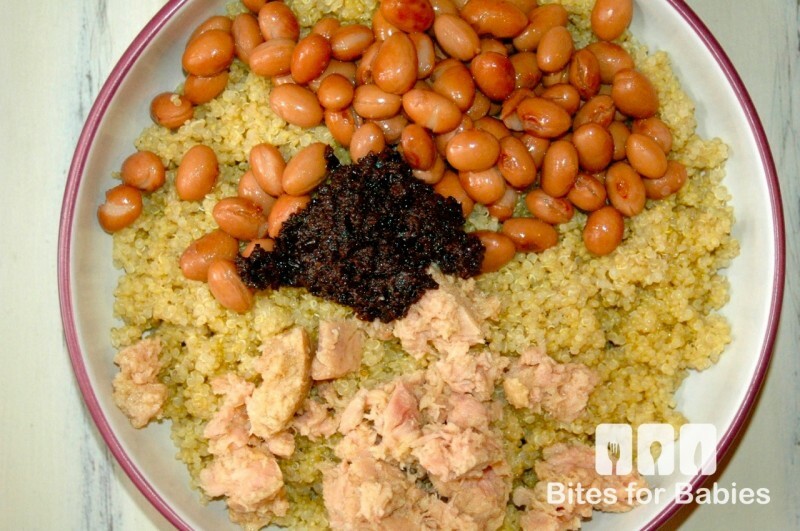 Tuna, beans, and quinoa are all loaded with protein and the olives add a healthy dose of Omega 3-fatty acids. 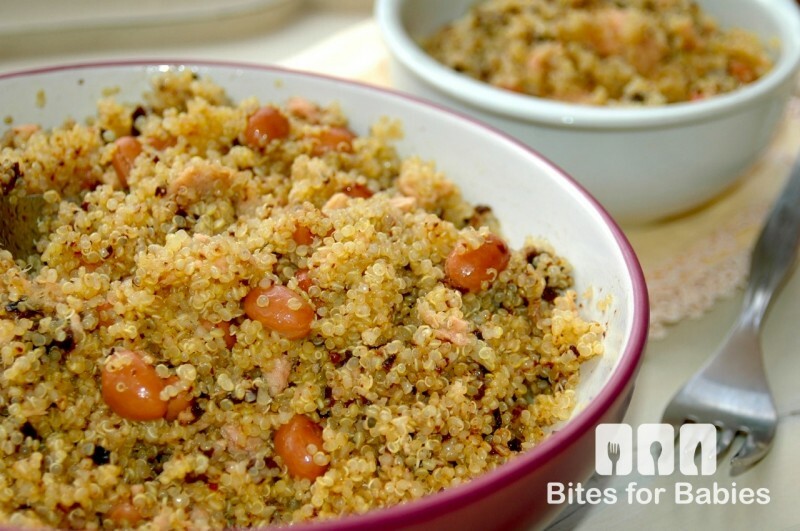 Thanks to its high protein content this salad is very satisfying main meal or even as a side dish, if you prefer. 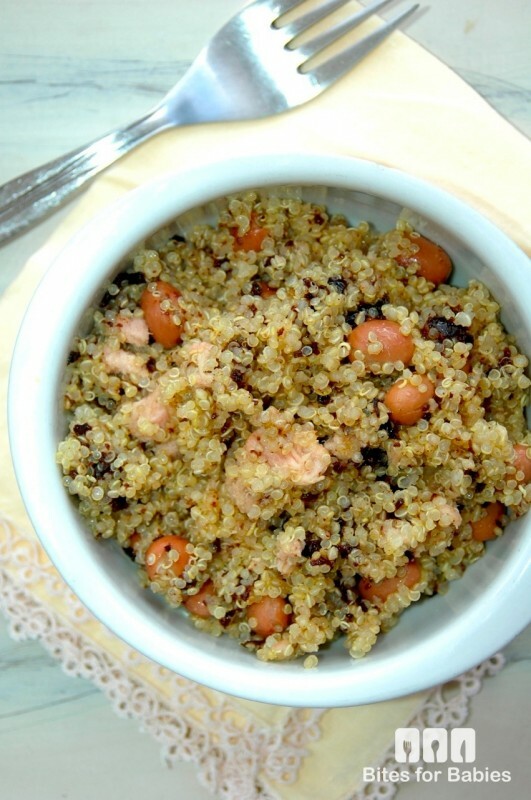 I personally love the combination of tuna and black olives, and as you probably would have guessed (if you follow this Blog) I’m a huge fan of quinoa! I usually add lentils to this salad but any legume will do. 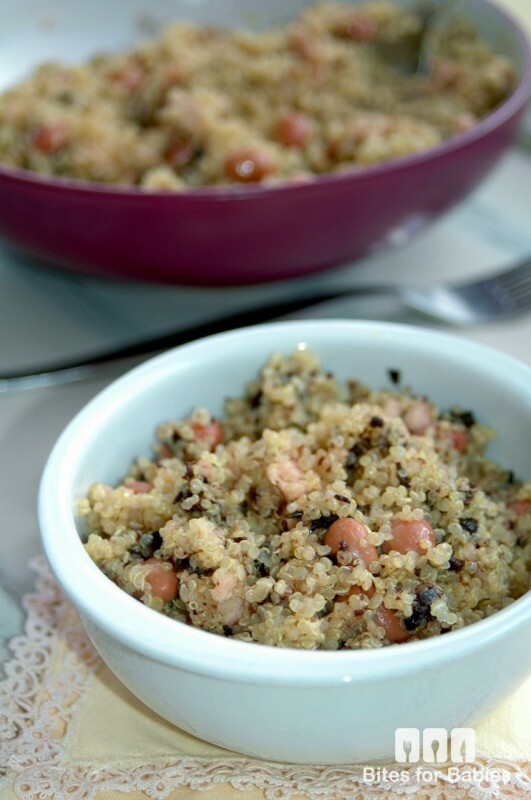 Legumes add a creamy consistency that really balances out the dryness of the quinoa! Place all ingredients in a small food processor and blend until combined. Drizzle olive oil while blending until you get the desired consistency. Bring water to a boil on high heat in a medium saucepan. Once boiling, add quinoa then reduce heat to medium-low and cook covered, stirring occasionally, for about 20 minutes or until the quinoa is fork tender and all the liquid has evaporated. Set quinoa aside for 5-10 minutes to cool slightly. 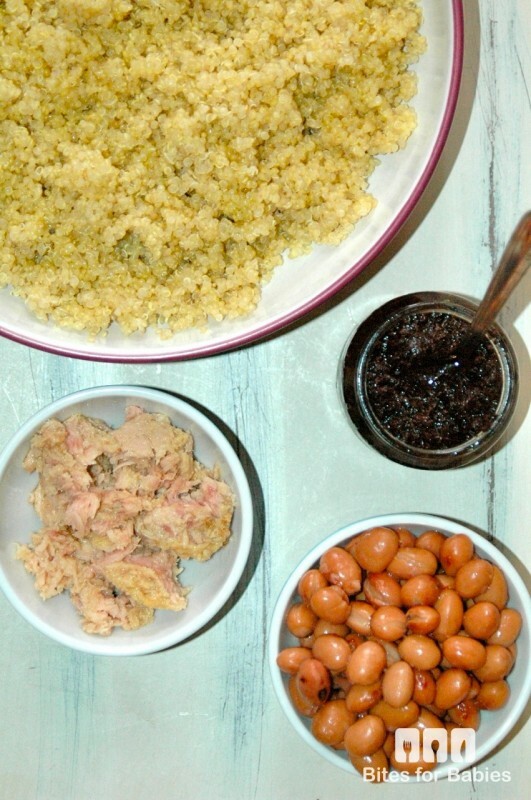 Once cooled, place all ingredients in a large bowl and mix with a large spoon until combined and all the quinoa is coated with the olive oil and tapenade. Serve at room temperature. 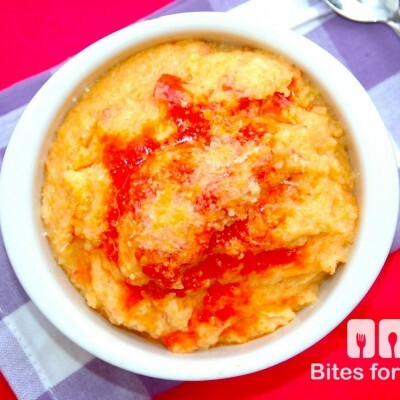 (It can be eaten warm however, we think it tastes best eaten at room temperature!). Garnish with toasted pine nuts for added crunch, if desired. 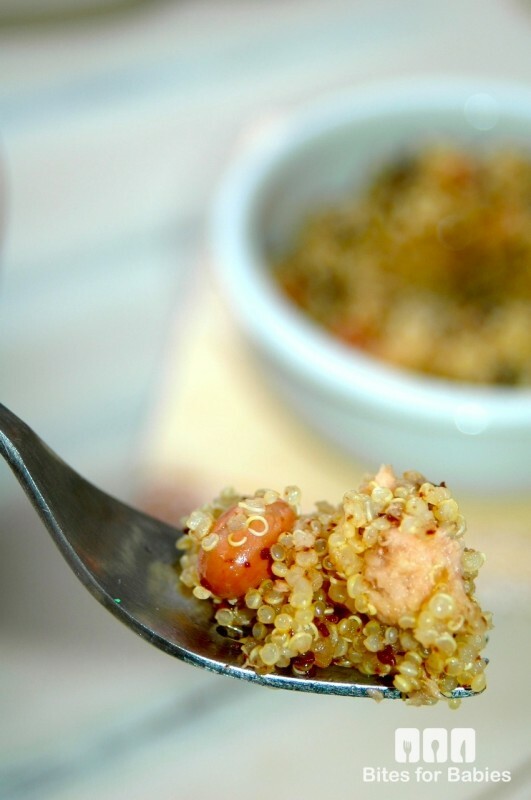 Quinoa keeps well in the fridge so make extra and store this for at least 3 days. The longer it sits and the flavours have time to combine, the better it tastes! 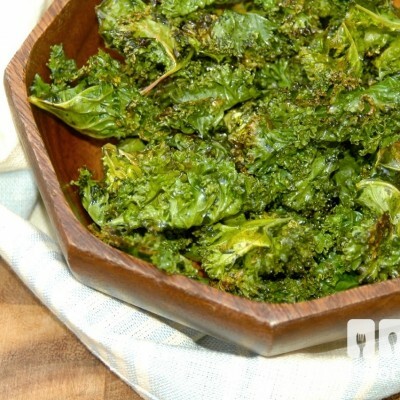 This salad also lends well to a baby-led weaning diet!